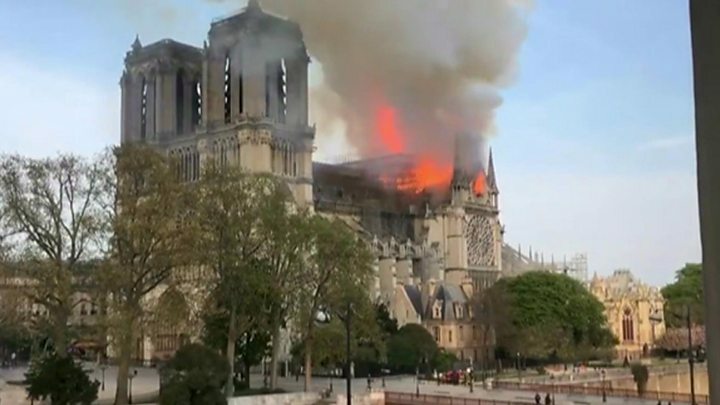 Historian Camille Pascal told French broadcaster BFMTV that "invaluable heritage" had been destroyed, adding: "Happy and unfortunate events for centuries have been marked by the bells of Notre-Dame. We can be only horrified by what we see". Visiting the scene, the president said the cathedral was a building "for all French people", including those who had never been there. 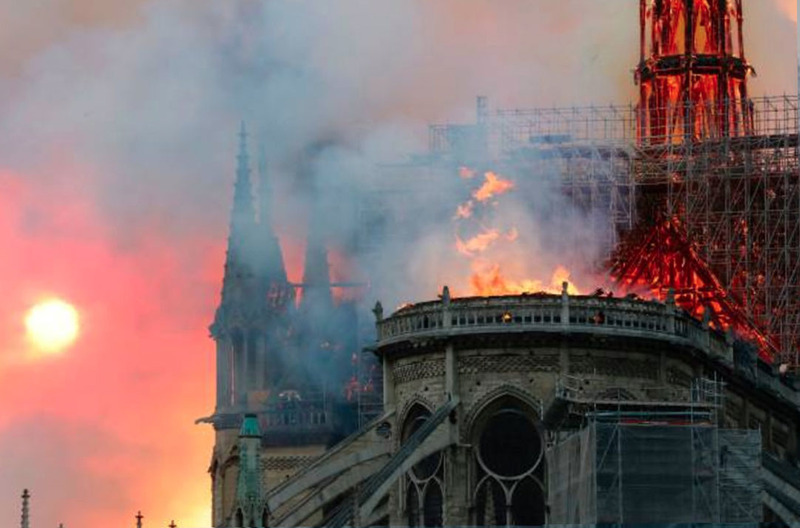 "We'll rebuild Notre-Dame together", he said as he praised the "extreme courage" and "professionalism" of the firefighters. It has given its name to one of the country's literary masterpieces. Victor Hugo's The Hunchback of Notre-Dame is known to the French simply as Notre-Dame de Paris. The Vatican expressed "shock and sadness," adding that it was praying for the French fire services. Germany's Chancellor Angela Merkel has offered her support to the people of France, calling Notre-Dame a "symbol of French and European culture". 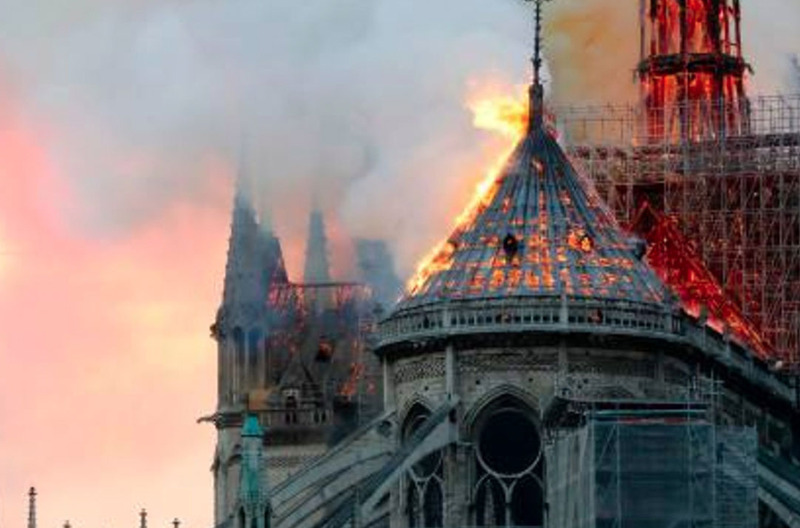 UK Prime Minister Theresa May said in a tweet: "My thoughts are with the people of France tonight and with the emergency services who are fighting the terrible blaze at Notre-Dame cathedral". Also on Twitter, US President Donald Trump said it was "horrible to watch" the fire and suggested that "flying water tankers" could be used to extinguish the blaze.